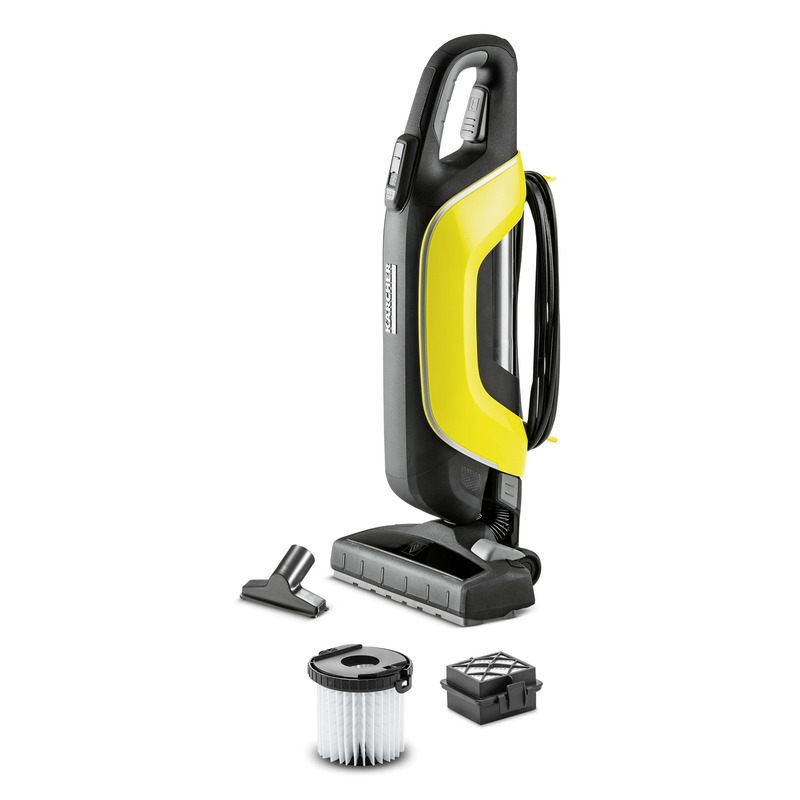 VC 5 13491000 https://www.kaercher.com/tn/home-garden/vacuum-cleaners/handheld-vacuum-cleaners/vc-5-13491000.html Small but strong: the bagless Kärcher VC 5 compact vacuum cleaner can be stored in the smallest spaces, yet cleans just as thoroughly as a canister vacuum cleaner. The exceptional VC 5 by Kärcher proves that a vacuum cleaner does not have to be large to be powerful. 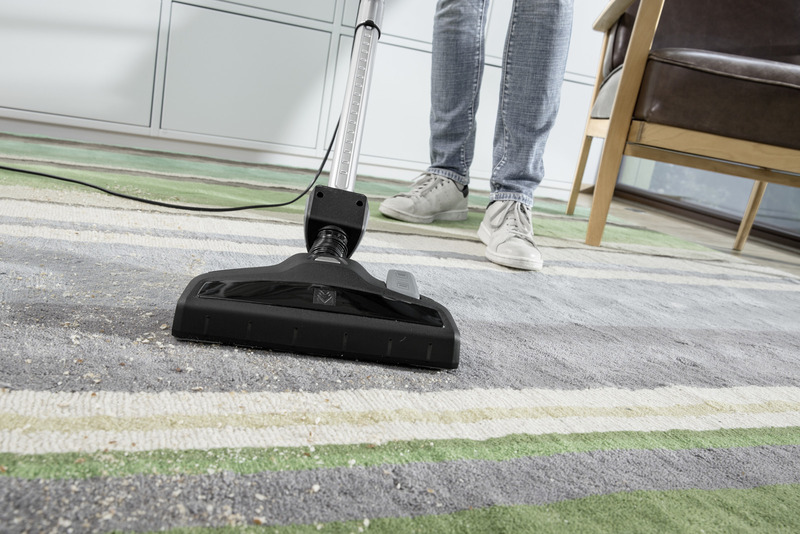 Despite its small size, the compact vacuum cleaner dazzles with its unique cleaning performance that effortlessly puts it on a par with large canister devices. Thanks to its patented triple-telescope system, the device can be reduced to half its size. 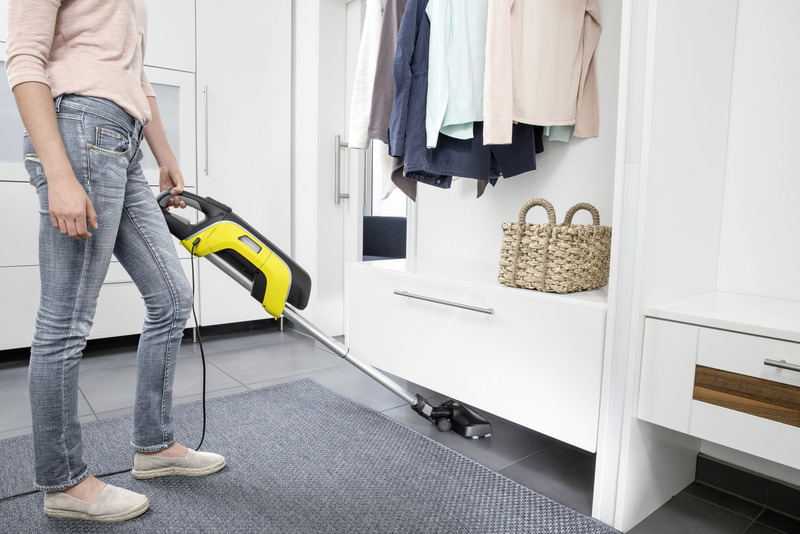 Simply press a button and push together – the vacuum cleaner is one of the most compact in the world and can be stored in even the smallest household. The strong performance of the VC 5 is thanks to its switchable Kärcher dry floor nozzle with flexible joint. The nozzle was developed specially for this device and has low power consumption, using its particularly compact design and special air channel to produce maximum power. A further highlight is the bagless filter system with integrated filter cleaning, which saves on expensive replacement filter bags. The filter box can be removed easily, ensuring rapid filter emptying. The VC 5 is a little powerhouse with extremely high performance.